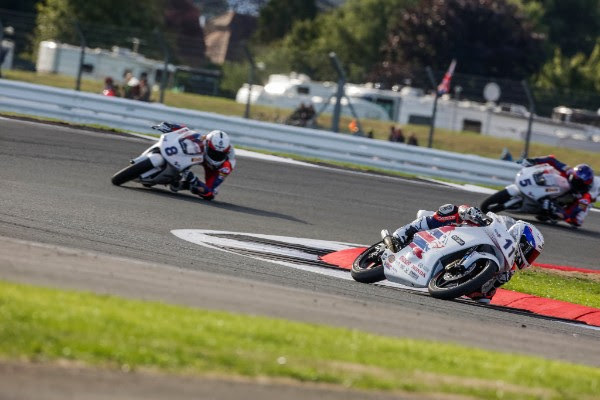 Rory Skinner won the second ever British Talent Cup race as Round 2 got underway at Donington Park racing alongside WorldSBK, with the Scottish rider keeping cool under pressure to cross the line a tenth and a half clear. 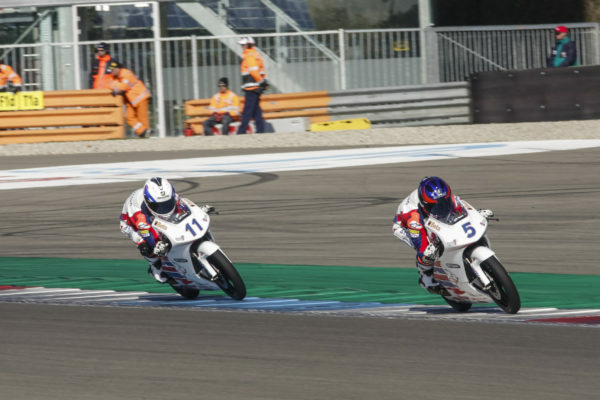 Max Cook bounced back from a crash out of the first race of the season to bank his first podium in second, with the first winner of the year, Thomas Strudwick, completing the podium. Strudwick was the man on pole and he took the holeshot, but Skinner was quick to strike. There was some early drama as Cameron Horsman and Scott Swann crashed out, but the front group got away well and Skinner led the way at the end of Lap 1, with Strudwick, Fenton Seabright and Cook for company. 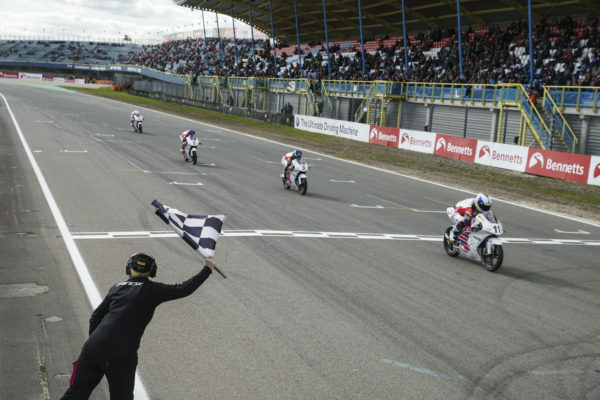 It remained a close fight at the front throughout and it all went down to the final corner – and there was another bolt of drama as Fenton Seabright, who went from pitlane start to podium in Round 1, slid out – leaving the podium confirmed as Strudwick, Skinner and Cook – but in what order? Keeping it calm, Skinner would be the first man home – a tenth and a half clear of Max Cook, with Strudwick another six tenths in arrears as Seabright scrambled to remount in the gravel trap. Scott Ogden took fourth as he was able to pull away from the battle to complete the top five, with Josh Whatley winning that by just a tenth over Storm Stacey. Jack Nixon, Charlie Atkins and Brian Hart had a close battle and crossed the line in P7, P8 and P9 respectively, with Franco Bourne completing the top ten. That’s it for Race 1 and it’s still Strudwick leading the Championship, with his win and podium tally keeping him ahead of Skinner and Whatley by ten points. Will that change on Sunday? Tune in from 16:15 (GMT +2).